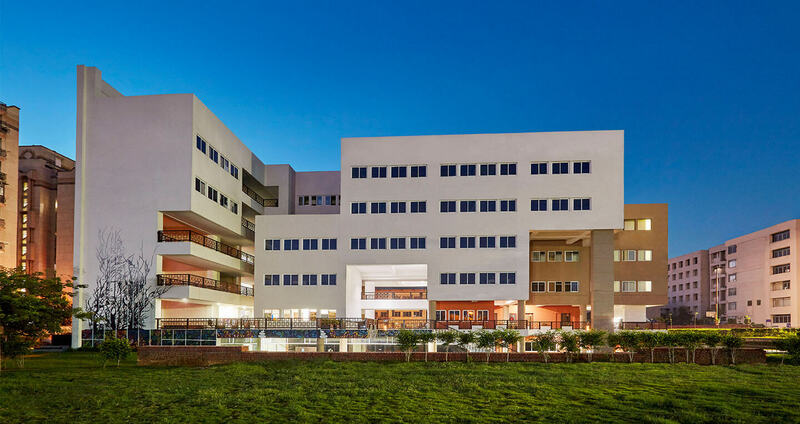 The new building for Ansal University reinforces the institution’s educational infrastructure at its existing campus in Gurugram, creating a self-sustaining University. 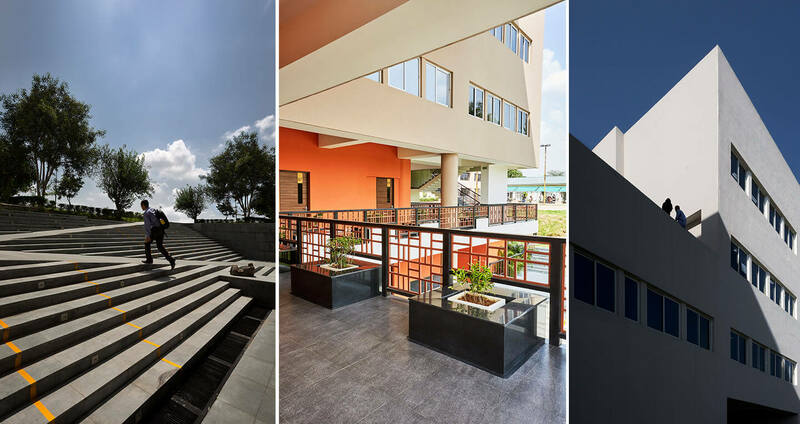 The building establishes a visual relationship with the Aravalli hills in its backdrop. 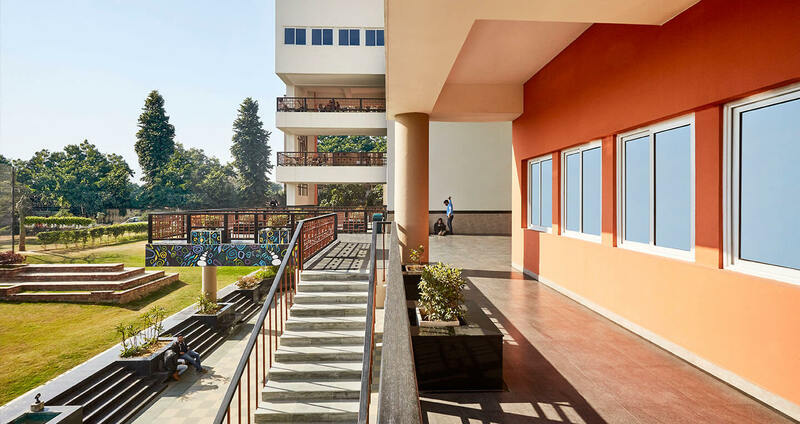 The architecture focuses on enhancing cross-disciplinary exchange between students with spaces that blur boundaries between the indoors and the outdoors thus encouraging engagement with the nature. The built form accommodates a diverse brief with new educational programmes and associated learning spaces, student services, campus administration, conference centre and public functions/activities etc. establishing a dynamic educational and cultural hub. 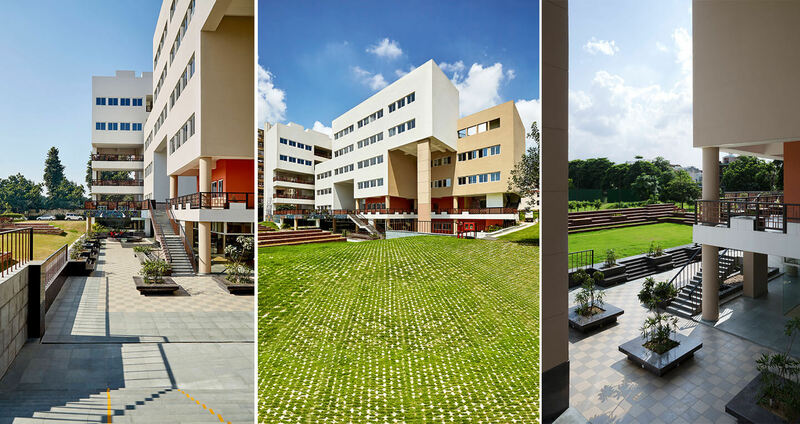 The building morphology is conceived as a geometric mass of strips which are redistributed to create open spaces creating a staggered form with a series of naturally-shaded and ventilated spaces on different levels – courtyards, terraces, and verandahs. The upper level terraces are designed to function as outdoor classrooms and breakout spaces. 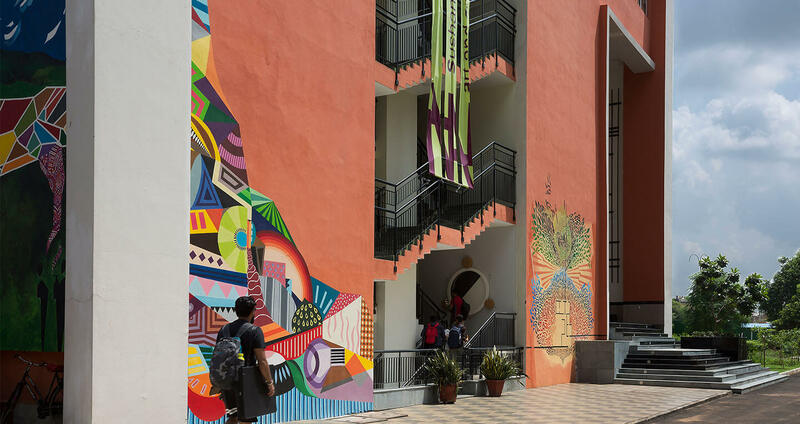 The underbelly is conceived as a student interaction zone containing recreation facilities, spaces for exhibitions, food court, bookstores, etc. to facilitate interdisciplinary exchange while creating a sense of community. The design addresses flexibility in space-function as an approach towards resource optimization. 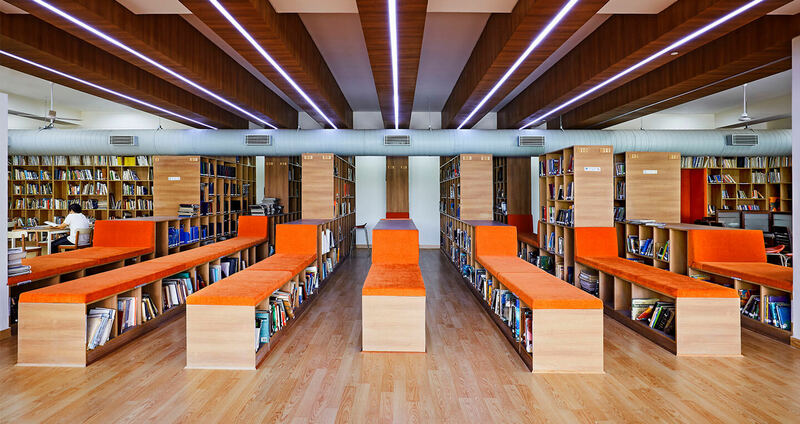 The duality of function along with the muted material palette and passive design strategies aid in providing quality learning experience, progressive both in style and content.